Cover Art courtesy of Franciscan Media. Click through to go to the ordering page. 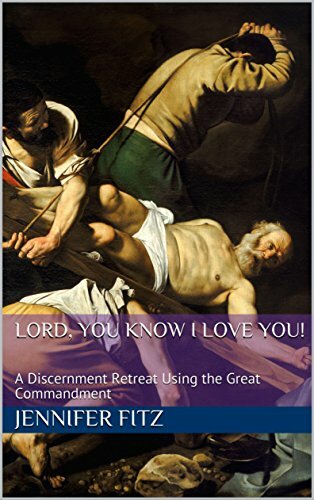 Sr. Patricia would also love this book. When Sr. Patricia and I are having a meeting of the minds? That tells you we’re in some heady waters indeed. 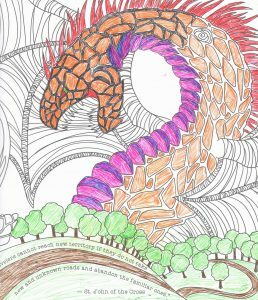 At Play in God’s Creation is an adult coloring book with a prayerful twist to it. Amid the pictures, there are quotes from mystics and prayer-questions. I’ve scanned a few portions of pages of my work-to-date so you can get a feel for what kinds of quotes and pictures we’ve got, see below. 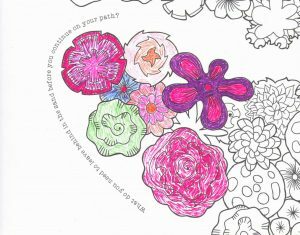 There are a couple pages of suggestions for how to pray-while-you-color at the opening of the book. Is it namby-pamby wishy-washy 1970’s nonsense? Ha. That’s the question of the day. Here’s a nice short article from Catholic Stand, “Christian Mysticism and Its Counterfeit,” that lays out the problem. 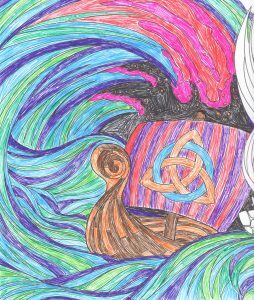 My reading of the text of the coloring book is that it stays within the bounds of Catholic thought. There are references to “finding your center,” which can be dicey, and there are plenty of Gather-hymnal word choices and grammatical devices. So the book is operating at the hairy edge of the narrow road, yes — but I don’t think the author goes over the cliff. If you are reading the text with a well-catechized Catholic lens, and you’ve waded through authors like Bl. Julian of Norwich and come to shore edified, it works. 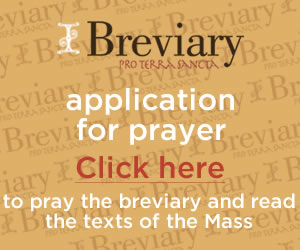 Likewise, if you were drawn to the book because you do color but you don’t pray and don’t know a thing about prayer and this is your first baby step into some kind of spiritual life, I think it could be a comfortable starting point rather than a hindrance to more formal and informed Catholic prayer as you moved forward. Also, the author of the text reminds you not to pass judgement on the thoughts that enter your mind as you’re prayerfully coloring, so when you get to this page and think to yourself, “One of these flowers is a ninja throwing star!” that’s okay. No judging, guys. 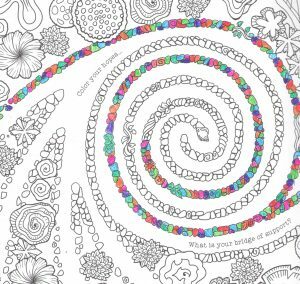 Coloring could be helpful just because it is good for a busy person to quiet down and do something calm and relaxing for a change. I think this is a bit like the old joke about smoking-while-you-pray vs. praying-while-you-smoke. I advise you not to smoke, but I can attest from my proto-hipster days that actually, yes, a moonlit night, silence, and a decent cigar make for good spontaneous prayer, if you’re so inclined. But that sort of prayer is not the same thing as praying the Rosary or the Divine Office or the Mass for serious. It’s not the same thing as actually carrying out Ignatian Exercises with your whole heart and mind focused on prayer. 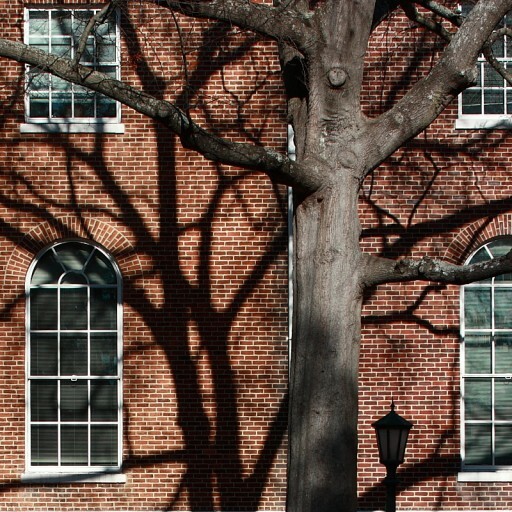 It’s a good thing, and you should try it frequently — not smoking, but spontaneous prayer as you are engaged in quiet activity — but you’re cheating yourself if you never go deeper. Still, we aren’t tube worms. We don’t live in the depths all the time. When we’re trolling the shallow waters of ordinary activity, we don’t therefore stuff our souls in the closet. 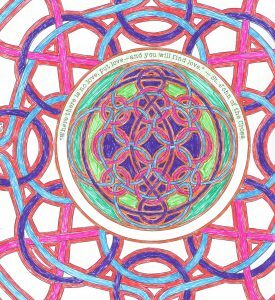 It is in fact good, wholesome prayerful activity to take a little R&R by coloring a Celtic knot while letting your mind range over a St. John of the Cross quote, and your life, and how the two intersect. Why Does Jen Like the Book? Come on guys, color my hopes? My hope is that said child will notice I’ve shown up before I have to reach for the bridge-of-the-support and phone her to let her know someone’s waiting, thanks. Not every single phrase and picture in this book is a perfect match for me personally; I trust that there is someone out there who needs and will benefit from a cute version of the Four Creatures of the Apocalypse, and that we two must share an artist. But hey, here’s an impending bloody-shipwreck . . .
. . . and on the facing page when you make it to fair land, there’s a not-friendly dragon reared up ready to scorch you. I like this book because I get the ordinary benefits of coloring (relaxation, art-for-non-artists, etc.) combined with a keen sensitivity to the reality of spiritual struggle. Not every single prayer-prompt in the text is my cup of tea, but most of them have their moments when they are spot-on. Verdict: If this is the kind of book you would like, you will like it. Related to Related: But why am I on someone at Ave Maria’s mailing list?! Oh, that’s right, there’s this book! Today’s the feast of the Immaculate Conception, and if you want to know my fit-for-print thoughts on that topic, and a few others, get the book. Funny Story: There was some brouhaha a little bit ago that I decline to link to, in which a group of ostensibly-Catholic women were recording themselves preaching on the Gospels, with the goal of proving that hey! Girls can read the Bible and talk about it too! Put a cassock on it! And I was like, No duh. CatholicMom.com does have some male voices on the Gospel Reflection Team roster, but the group is definitely mom-heavy, as we’d expect. But you know what’s really super cool, and has nothing to do with boys and girls and everything to do with the grace of God? Showing up at Mass and your pastor preaches a sermon, and you’re like, “Yeah. That’s way better than anything I would have said.” Coloring book or no coloring book, pray for your priests.